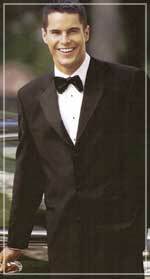 It is key to own one good tuxedo for all special occasions, especially one that fits well. Always remember, the best investment in clothing is owning a tuxedo and tuxedo shirt which fit well. Why waste money and time on costly tuxedo rentals? We have several tuxedo fabrics to choose from. Selecting your fabrics is one of the most important steps in tailoring a tuxedo. Please note prices do not include shipping and handling charges.